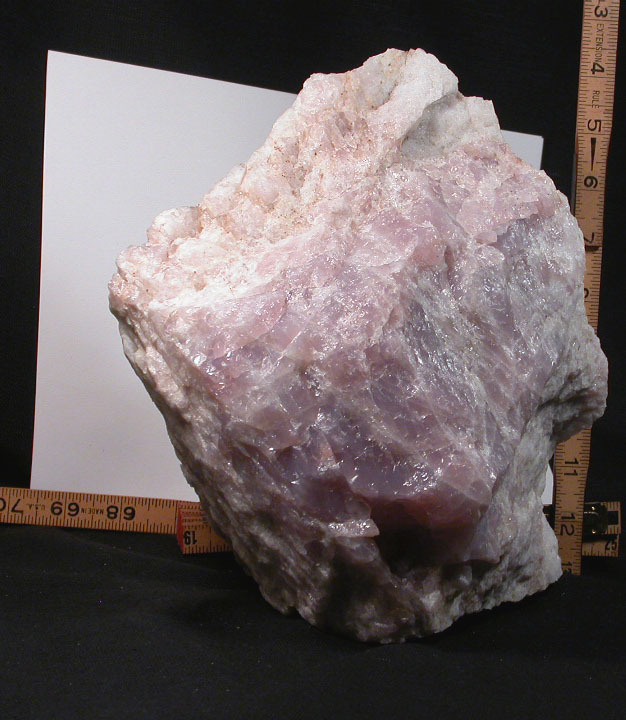 Statuesque - stately - a California lavender rose quartz rough with milky quartz monolith. Stands securely as shown at 6-1/2 x 10 x 9� high with a full range of lavender colorations including some chatoyance. 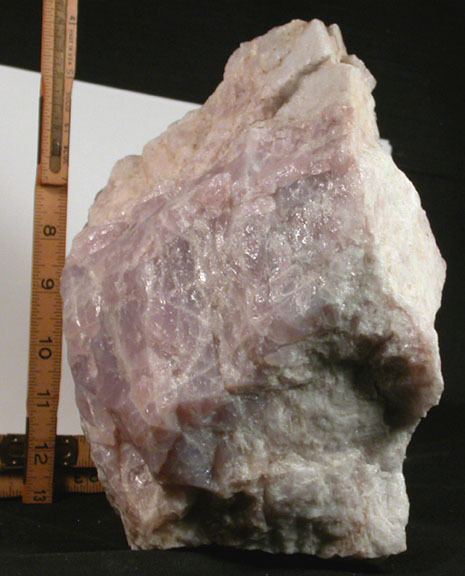 Lithium inclusion in addition to other impurities take this rare quartz from pinkly to purpley. Sent doubly boxed with handwritten description on the reverse of our enclosure card. Shipping will be added.